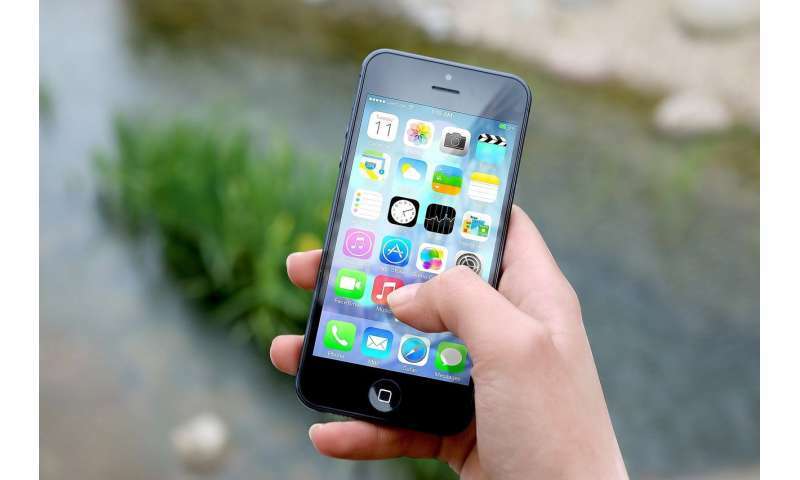 A University of Otago study has found that using mindfulness meditation applications (apps) on phones is associated with improvements in people's mental health. The study, "Mobile Mindfulness Meditation: A Randomised Controlled Trial of the Effect of Two Popular Apps on Mental Health," has been published in the journal Mindfulness. Lead author, Jayde Flett, Ph.D. candidate at Otago's Department of Psychology and Department of Psychological Medicine, says the development and availability of mindfulness meditation apps provides new opportunities to practice mindfulness, which has been associated with a wide range of mental health benefits when practiced face-to-face. "Mobile phones are often scorned as devices of distraction, but paradoxically, they may serve as a good platform to practice being in the moment and being mindful given their wide use," Ms Flett says. The study involved 208 university students aged 18 to 49 who were randomly assigned to use one of three apps: Headspace, Smiling Mind, or Evernote (a non-mindfulness control group). Mimicking optimal use and more realistic use, participants were asked to use their assigned app for ten minutes each day for ten days, after which they received an extended 30 days' access to continue practicing at their discretion. Participants reported their depressive symptoms, anxiety, stress, college adjustment, flourishing, resilience, and mindfulness at baseline, after the 10-day intervention, and after the 30-day continued access period. Ms Flett says that while not all mobile mindfulness apps are created equal—they should not replace traditional face-to-face mindfulness programmes. Mindfulness apps represent a promising opportunity for improving mental health given their 'light touch', ease of use, availability, and accessibility. But, importantly, these tools are only effective if people use them.